The county's unemployment rate is about the same, at about 7.2%. Less than a third of its 6,580 residents are working. And the poverty rate stands at 39% -- three times the national level. The charming sidewalks and lamp posts of Beattyville's Main Street were redone a few years ago, but it's impossible to miss the still-empty storefronts. 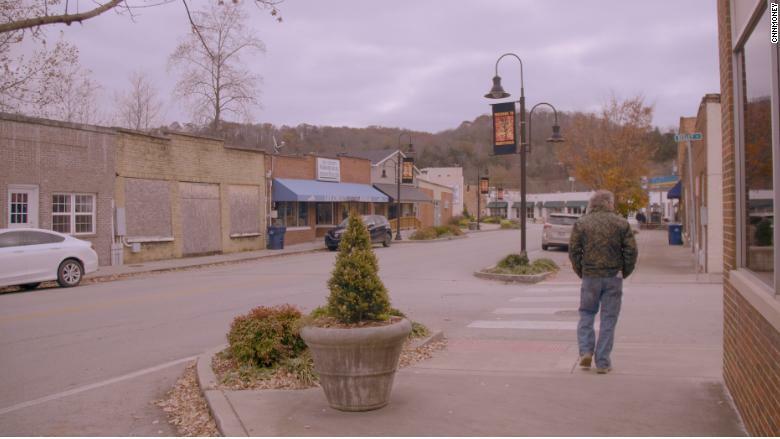 CNNMoney first traveled to Beattyville in January, and found a town full of hope that an unconventional new president could bring positive change and believed Trump's promises that he would create more jobs. We came back nearly a year later to see whether he had delivered on those expectations. Although Americans overall have seen joblessness sink and wages rise during the Trump administration's first year, those tailwinds haven't quite reached many of the country's more rural pockets like Beattyville. So, the citizens of the town have found other ways to grade his performance. Leighandra Shouse, a children's book illustrator who voted for Trump, gives him a solid B. Not because of any changes in her own life, which she says hasn't improved much since this time last year, but rather because he seems like he's doing his best. "I'm still hopeful. I don't think any of the problems that we have is going to be quick fixes, you know?" says Shouse, 50. "I think Congress is standing in the way more than him." Nevertheless, there are some signs of improvement in and around Beattyville. For one thing, the state announced the reopening of a long-closed prison, which will be operated by a private company and provide scores of jobs. But the reopening is also a symptom of the opioid crisis still ravaging Appalachia and swelling the prison population all over Kentucky. A coal tipple — used for loading coal onto rail cars — opened on the outskirts of town, signaling that some coal producers are optimistic about Trump's rollback of regulations on the industry. 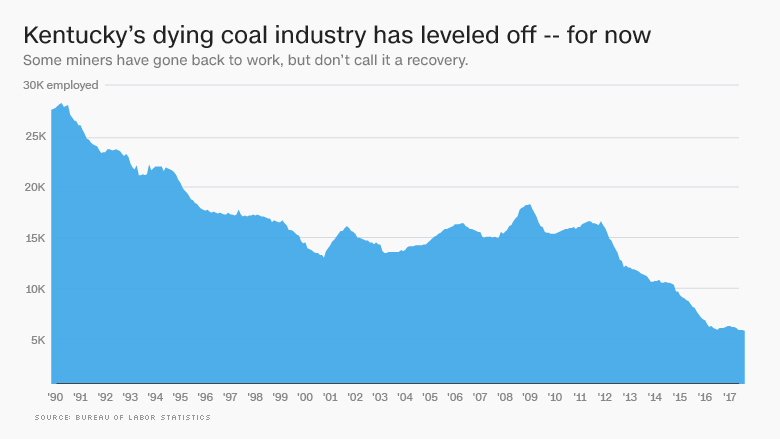 After falling into a steep decline after 2011, coal production and mining jobs have leveled off in the region over the past year, and some laid off miners have even gone back to work. The news of coal's small resurgence has sent a ripple of optimism throughout Appalachia, seeming to fulfill Trump's campaign promise that the election was "the last shot for the miners." Few people, however, are betting on the once mighty industry regaining its former strength. 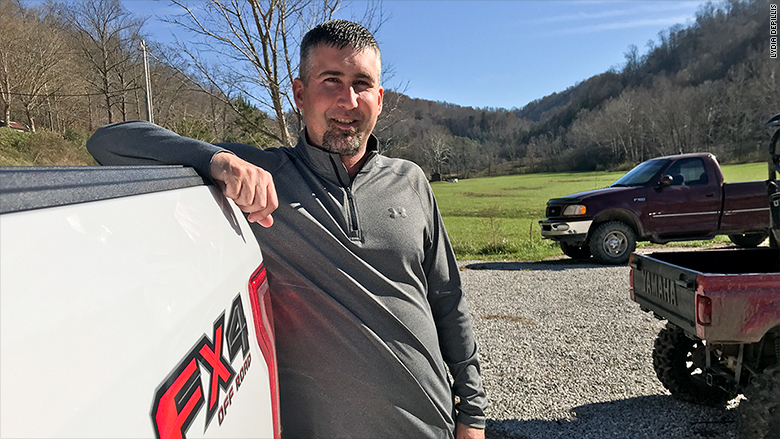 Former coal worker Kevin Maggard stopped waiting for coal to come back and started his own auto body shop. "It's gonna help. But is it gonna solve Eastern Kentucky's problems? No," says Kevin Maggard, who started an auto body shop in a remote valley after he was laid off from his coal mining job five years ago. He says he's advised friends against taking the few coal jobs that have come back, because they could disappear just as quickly. Some have gone into long-distance trucking instead. "Trump does need to get us work back here," says Maggard, who voted for Trump and thinks he's done a good job so far. "If coal doesn't do it, we've got to have some industry." Instead of coal, residents are coming around to the idea that the next great natural resource boom might come from elsewhere: The area's mountains and rivers, just as they are. Beattyville is luckier than many Eastern Kentucky towns. It's less than an hour from world famous rock climbing and paddling in the Red River Gorge. Wiry outdoor types keep the one local coffee shop busy, and a boutique hotel called the Chocolat Inn & Cafe has opened to cater to vacationers. Larry Phillips owns an auto repair shop in Beattyville that used to get more business from the coal trucks that once rumbled through town. He voted for and still supports Trump, who he thinks may still bring the coal industry back in time. "You need to step back, hush and let him do his job," Phillips says to the president's critics. 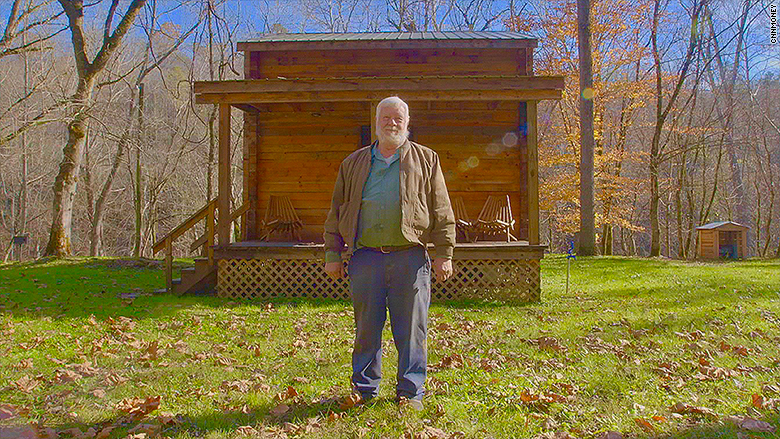 But while coal remains depressed, he's building a few cabins to rent to visitors, which he sees as the town's economic future. "Tourism should be a lifelong thing here, because what we have to offer will not be leaving." 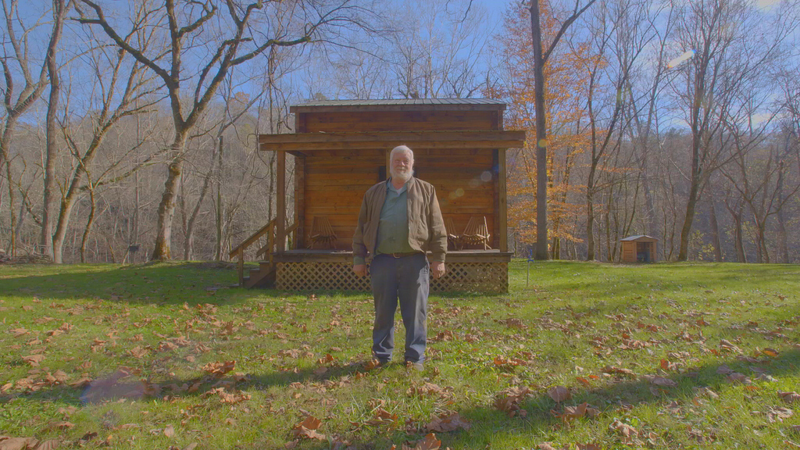 "Tourism should be a lifelong thing here," says Beattyville resident Larry Phillips, who now rents out cabins to visitors. Building a tourism economy takes collaboration, and residents say they're up for it. "The one thing about here is we have to learn to support each other," says Shouse. "We can't wait for somebody to pull us out of a hole." That's probably a good thing, because it's not clear how much help will be coming from Washington in the years to come. Eastern Kentucky has long received aid via the Appalachian Regional Commission, which dispenses grants for everything from job training to trail building. Money has also been available through the U.S. Department of Agriculture's Rural Economic Development Program, which funds local utilities; the Abandoned Mine Lands program, a fund supplied by payments from coal companies; and the Economic Development Administration, which has focused on helping communities left behind by coal. The budget proposal Trump submitted last spring would have eliminated all of those programs. The area's congressional representatives — including Kentucky's senior senator, Mitch McConnell — protested the cuts, which local economic development professionals say would devastate the area. The programs have been funded in the stopgap budget measures Congress has passed so far. But some local activists think the threat might lead to a needed shakeup among the federal agencies that have failed to turn around the area's economic prospects, despite millions of dollars and decades of work. "They have become very habitual in how they fund things," says Chuck Caudill, a former local newspaper editor who is planning a run for Lee County judge. "I think that that will inject in the ARC the desire and the need to be more innovative." A boarded up store along Main Street in Beattyville. Another threat on the horizon: Trump and congressional Republicans are targeting welfare. That jeopardizes the benefits that many people in this town rely on, including cash assistance, disability payments and food stamps, which more than a third of households in Lee County receive. Then there's health care. Kentucky expanded Medicaid through the Affordable Care Act under its previous Democratic governor, and the uninsured rate dropped from 14.3% in 2013 to 5.1% in 2016, the ninth lowest rate in the country. More than half of Lee County's residents are covered by Medicaid. Kentucky's current Republican governor says it's too expensive and has requested a federal waiver that would cut an estimated 96,000 people from the rolls, according to the Kentucky Center for Economic Policy. None of that has been felt yet in Beattyville, however. And some of those who are just above the threshold for public assistance say they wouldn't necessarily object to seeing it go away. 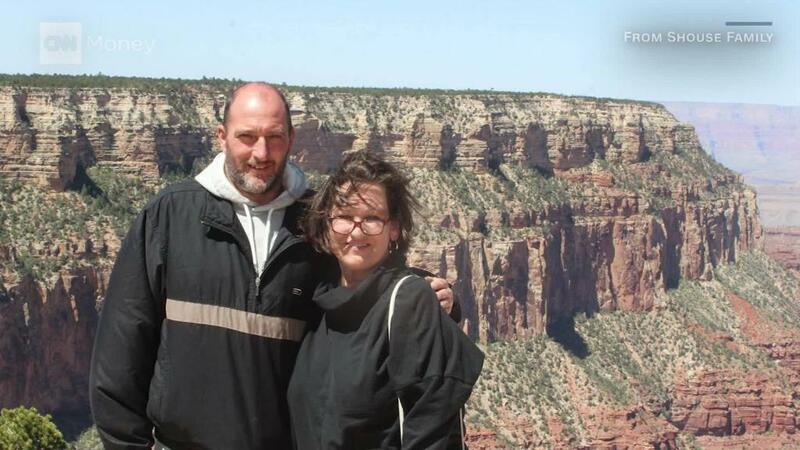 Leighandra Shouse doesn't qualify for Medicaid and hasn't been able to afford insurance through her husband's job or on the Obamacare exchange. She's visited the local health clinic a few times for pain in her leg, since they charge on a sliding scale, but says she isn't getting the specialist treatment that might solve the problem. "The people that are the ones that's working, we're the needy ones," says Shouse. "Are those people that's being handed everything free, are they going to go out and fill out an application for a job?" To Anna Smith, 31, the answer to Shouse's question is yes. She recently started working at Beattyville's housing assistance agency, but still qualifies for food stamps and cash assistance, and a housing voucher for her four children, and says she would rather support herself than rely on benefits. "People look at you different," Smith says. "Like you depend on the government." Regardless of what the tax proposals in Congress or the budget hold, Beattyville residents say they're not waiting to find out what will happen in Washington. They're promoting the area to tourists and starting businesses, like the new women's clothing boutique on Main Street, Hip Chic, and The Art Factory Coffee Shop. They love Beattyville and want to make it a place where their children can build a future. Tara Newman decided to take a chance and opened clothing boutique Hip Chic last summer. 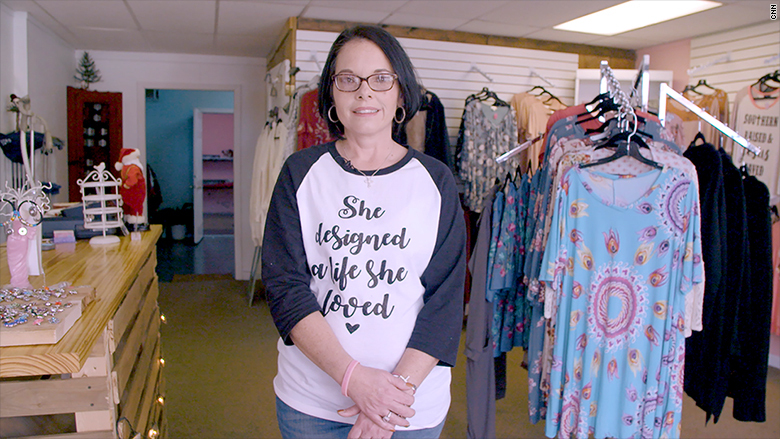 "It's time that our community is seen in a more positive light and I think that's what my generation and the current leaders of Beattyville have decided to do," says Tara Newman, the proprietor of Hip Chic. Newman had been diagnosed with breast cancer in 2015, and decided to open the boutique this past summer. It's been open since late August, and she says she hopes to hire someone to work there soon. "I think we all just decided to take a chance, and to be accountable for our community, try a fresh start," says Newman. "A lot of the people who have opened up these businesses, are hometown people. We see what our town had to offer and we want to move forward." CNN's Poppy Harlow, Claudia Morales, Haley Draznin and Jordan Malter contributed to this report.